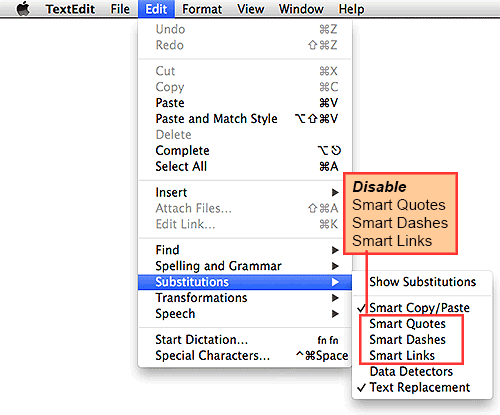 TextEdit is a free text editor that comes with Mac OSX. You can use it for writing code if you make certain preference settings, as you will be doing below. 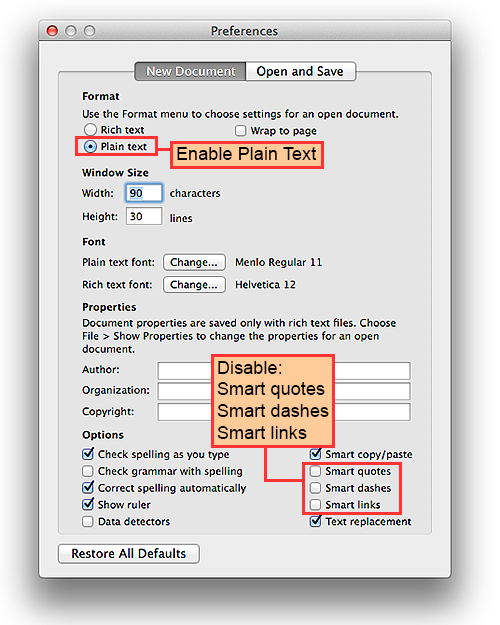 Without these settings TextEdit's default file type is .rtf (rich text format). You will be setting TextEdit to use Plain text. This means that TextEdit will use a limited set of characters: only 27 (128) or 28 (256) standard characters available to choose from. By doing this the files are small and easily opened by different operating systems. These plain test character sets are often referred to as ASCII or ISO/8859-1. If you have any problems with my instructions below, use this site's instructions. There are no other changes required.